Public Wi-Fi may often be free, but it does not come without great risk. Over 50% of all adults have their personal information exposed to hackers every year. One of the most common and serious threats to your personal and financial data occurs when you access free public Wi-Fi networks. If you have not used public Wi-Fi, you are one of the few who hasn’t. Not only have the vast majority of Americans accessed a free public Wi-Fi network; over 75% have accessed their personal email when doing so. Think about where you may be accessing Wi-Fi; supermarkets, coffee shops, libraries, police districts, hotels (on your the last vacation), airplanes. The list is long, and the temptation is longer. It’s convenient, you don’t use your costly and limited data, and in many cases, depending on your device settings, logging on to public Wi-Fi is automatic. Here’s the big problem. With an estimated 95% of Wi-Fi data traffic being unencrypted and, therefore, exposed to easy hacking, public Wi-Fi networks have become the top breeding ground for hackers. And hackers aren’t there to snoop. At the least, you can compromise your personal information. But they are looking for access to your financial information, your passwords, your home address, your location. The list of risks goes on and on. There is a saying in the cyber security industry that there are three types of people in the world: those who have been hacked, those who will be hacked, and those who are being hacked right now and just don’t know it yet. • Fake Wi-Fi hotspots that look as real as the establishment. • “Man in Middle” attacks that intercept 100% of the traffic of a legit Wi-Fi network. Now the hacker is on your device and can copy files, photos, access passwords, log into your accounts, steal financial information, drop malware and pretty much make your life miserable. Then they sell all your info. • Most “safe” and legit networks are encrypted, meaning that messages sent on the network are in a secret code which cannot be read during transmission. However, there is no way of knowing if the encryption software was installed and is up to date. • Purchase a personal “hotspot.” Not perfect, but much safer as you know the network you are using and its protections. 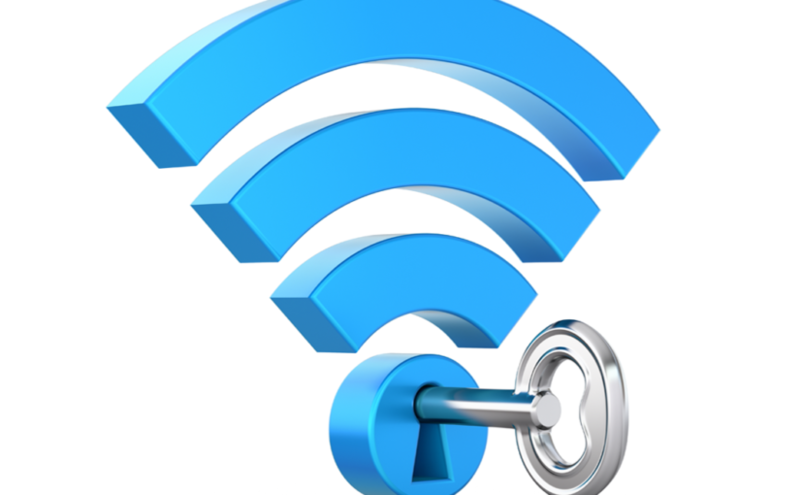 • Never log into password-protected websites that contain sensitive information when using a public Wi-Fi connection such as banking and social networking sites, or even email. Facebook and Facebook Messenger are the #1 access points for hackers, followed by email. • Check your mobile device settings, and never allow your device to automatically log into a public network. You can be passing a store in the same chain, be logged in automatically and immediately expose yourself to a hacker. • Never insert a flash drive or disc you found, or one promising discounts or services into your device. A hacker might have planted it, and as soon as you use it, the hacker has access to your device. • Log out of all accounts once you are done using them. • Keep your mobile device software current to avoid infections by viruses or malware. • Obtain a Virtual Private Network (VPN), your best protection. Everything you transmit from your mobile phone, laptop or tablet will be is encrypted on all public networks. You can obtain a VPN through Norton Security Comprehensive Benefits Plan of America,(CBA). Go to the CBA website and review the Norton Security page for more information. Disclaimer/Advertisement: Comprehensive Benefits of America, LLC, (CBA) is a for-profit, limited liability company, owned, in part, by Tom Tuohy, offering members access to products, services, and financial wellness resources. Membership is free and open to the public. Certain partners of CBA, including Norton Security, pay CBA an affiliate or commission fee, in return for products or services sold to CBA members.